mixedbag October 9, 2015 May 27, 2016 2 Comments on One Veg, Two Ways! Don’t you just love movies with double roles? I love them! One hero, two completely different looks, two heroines, a thrilling plot, all “boiling down” to an amazing experience. The hero of two of our dinners last week – Butternut Squash. Come fall, and these glorious golden globs (oh,how I love a good alliteration!) are everywhere! And there’s just so much you can do with them! 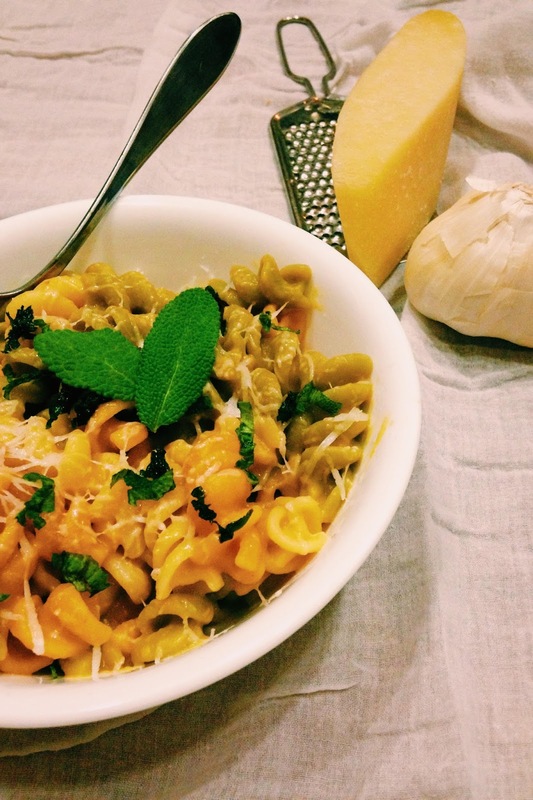 So here’s two of my favorite recipes – Butternut Squash, two ways. 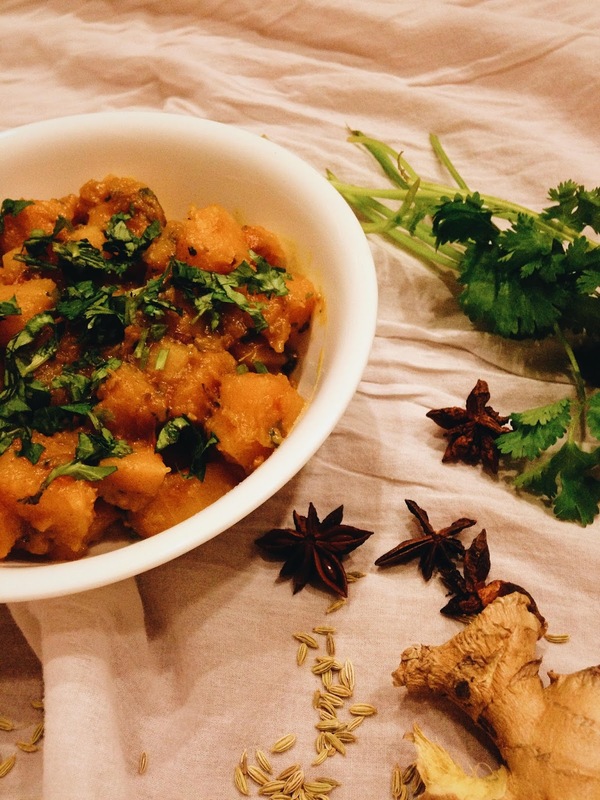 First is Spicy Squash, a sweet and spicy Indian Curry. 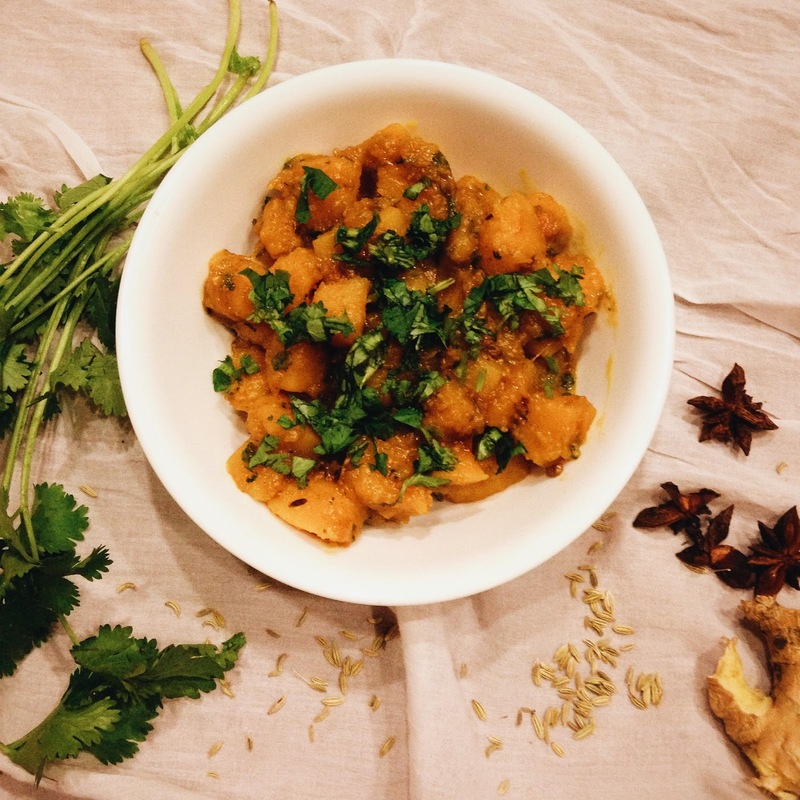 It gets its bold flavors from crushed fennel seeds, grated ginger, sugar and mango powder. The heroine, one of my favorite herbs – cilantro. 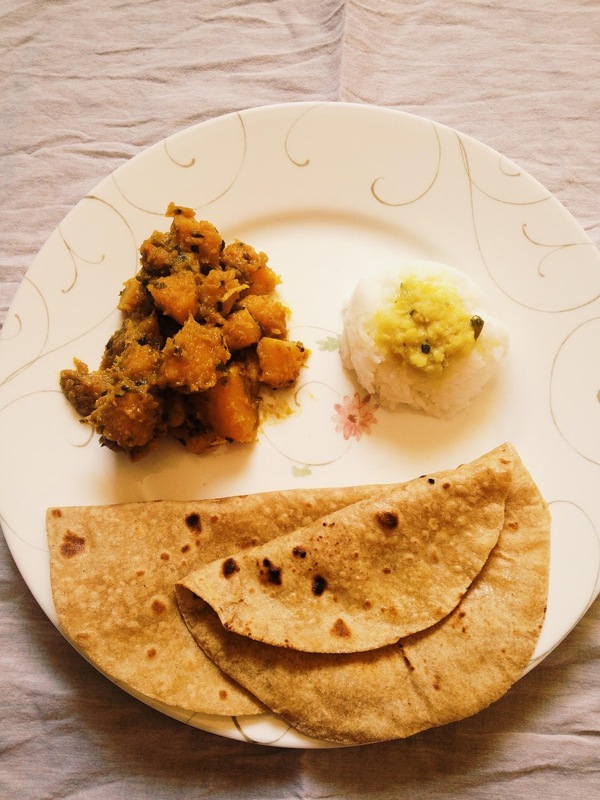 The recipe I followed is from Manjula Jain of Manjula’s Kitchen. I absolutely adore Manjulaji. Her recipes are accompanied with a video so you can follow along. What I love about this recipe is the mix of spicy and sweet. Play along with it, if you like it sweeter, just reduce the number of red chillies, like I did. What you should not leave out, however, is the fennel seeds, ginger and mango powder and cilantro. They give this curry its characteristic sweet, spicy and sour flavor. It goes great with rotis and even with rice. 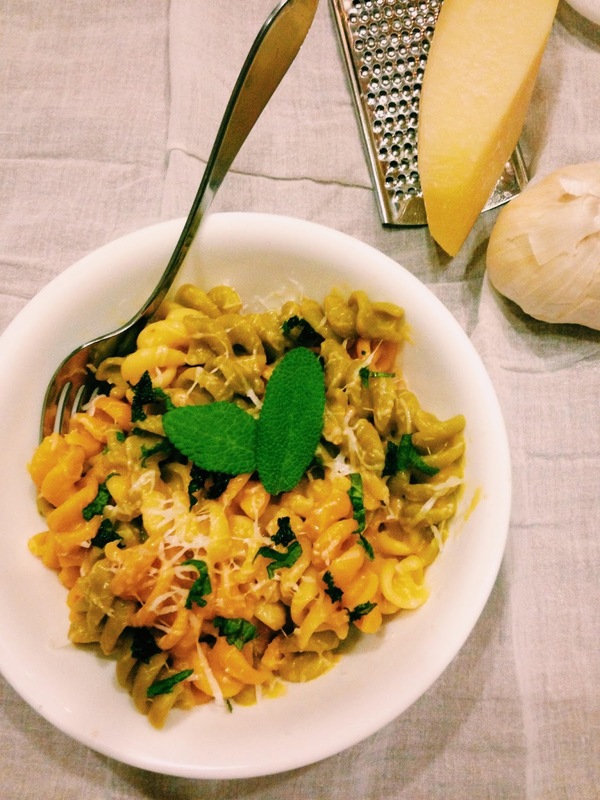 And then, Butternut Squash goes to Italy with this amazing pasta sauce. A creamy Alfredo with browned butter and sage. The recipe I used is from Bowl of Delicious. That’s the blog’s name and boy, did this recipe deliver! What an appropriately named blog :). I used sage instead of rosemary and fusilli instead of fettucini, only because my toddler likes fusilli 🙂 Another thing I did differently was first fry some sage leaves in butter, remove with a slotted spoon and set aside. Then brown the butter and go on with the rest of the recipe. Fried sage, Oh My God! Seriously good! 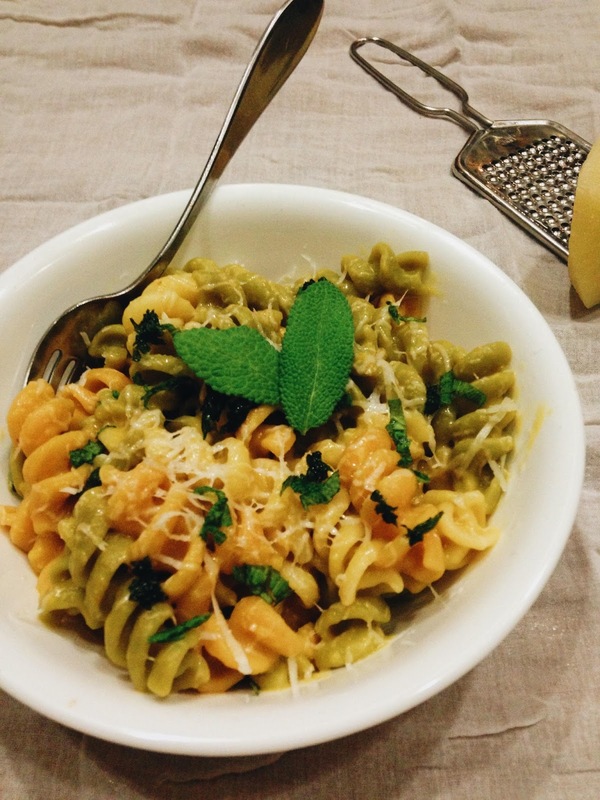 Garnish the pasta with fried sage and grated Parmesan or Pecorino Romano cheese and you’re in carb heaven! 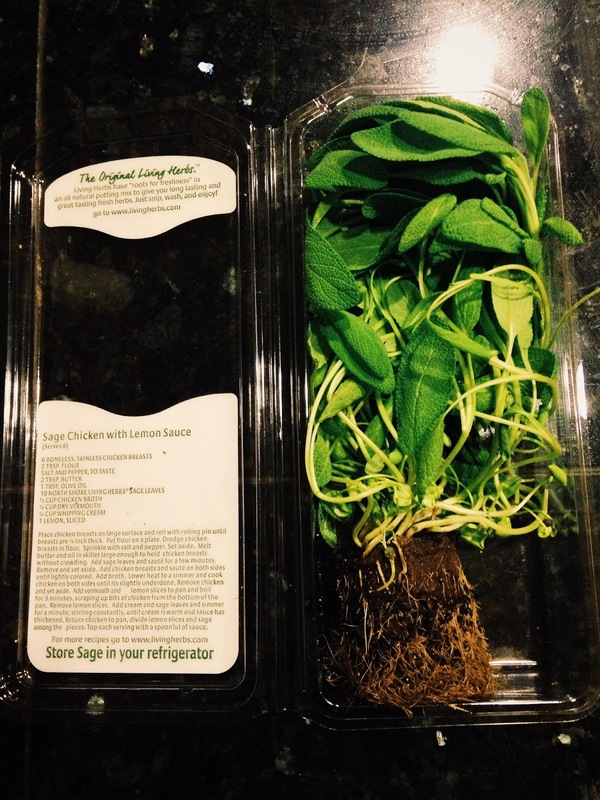 And check out this sage that S got from the store yesterday! Living Herbs! That’s also the brand’s name. Makes the herbs last longer. I wonder if they’ll grow in a mug. I’ll let you know. Both these recipes can be made with pumpkins too. They’ll taste just as good. So there you go, one veg, two ways. I must say I’m liking this title. I might make it a regular feature on my blog. Let me know what you think. Happy Weekend! Living herbs is a good concept. Wow…………..Yummy post here. Thanks for sharing.